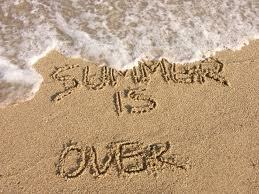 I don’t know if I am happy or sad that summer is over. We did not do any of the things we planned. Instead we spent the first part of the summer getting over really bad sunburns. We never went back to the beach this summer. We planned to go almost every weekend. It took us a month to heal from the burn we got from one day in the sun. We over did it, and our summer paid for it. We thought we would go places and do things this year. Instead we struggled to pay our bills and did very little. Now school is about to start, in a couple of days, and we look back at all we did not do. It makes me sad that we did not do much. Lucky for the kids they went to summer day camp and did trips every week. They did lots and did not really notice what we did not do as a family. I think they were just glad to be home and relax on the weekends. We are actually giving them the last week of the summer off of summer camp. They like spending time with us, but we want to make sure they have other children to play with. 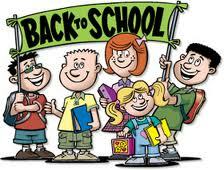 Now they are going to be going to school, a difficult thing for our son, and a fun time for our daughter. I am not sure I am ready for the struggles I know are to come. The demand of homework alone is a battle I don’t wish to take on. I know that every day I will have to fight with my son to get him to do his homework. Often he fights me over his homework. He hates school work and homework even more. He gets picked on by other students and does not like going to school. School work is difficult for him. He has ADHD and an unnamed language based learning disability. We think he may have dyslexia. Overall school is not a fun time for him. My daughter on the other hand has fun at school. She is a typical student having good and bad days. She gets along with others but tends to be a follower, not a leader. She will be ok with the other kids. So far she seems to be an average student. I am sure she will be fine as long as we work with her, and make sure she does her homework. I worry that we are not able to do enough for him, and are not doing enough for her. We can only do so much and hope we are doing enough. I just feel anxious. I want them both to have the best opportunities and I am not sure they have. 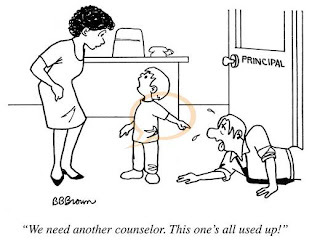 I worry that my son will again have a poor teacher, unequipped and unwilling to work with a child that does not fit the normal behavior pattern. The last couple teachers he had actually made things worse, only the E.A. took the time to understand and help him and the other children stuck in this women’s class. I worry that I don’t do enough for my daughter because she is fine and my son needs lots of help. I know she acts out to get more attention sometimes. I hope that she does not act out in school to try and get more attention. Most parents seem to be happy when their children go to school. All I can think about is how difficult this school year may be. Both children have teachers new to the school. I am hoping that this will give both my kids a fresh unbiased teacher who will give them a chance.